Interior: Seats and interior items obtained. 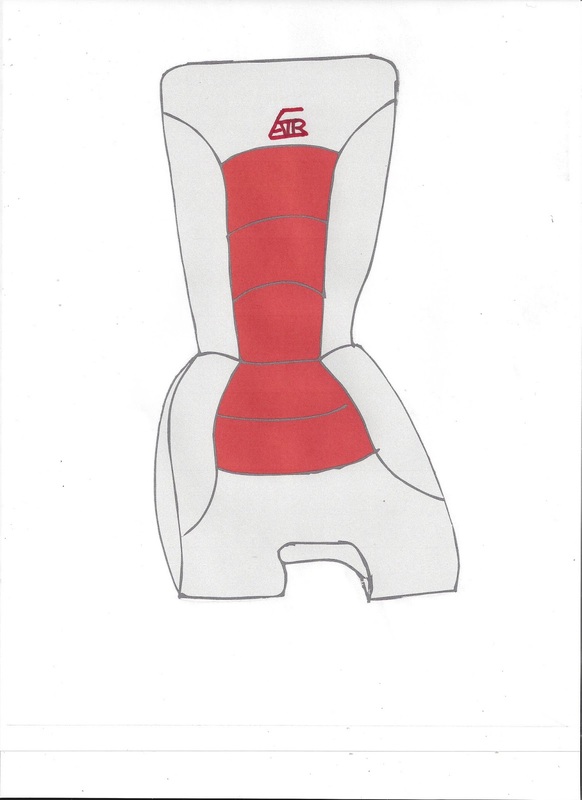 My approach for the interior was a minimalist one, in favor of the weight savings. Only seats, armrests and carpets. 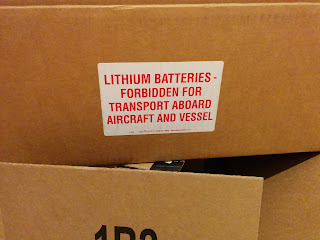 No side paneling or other such items. 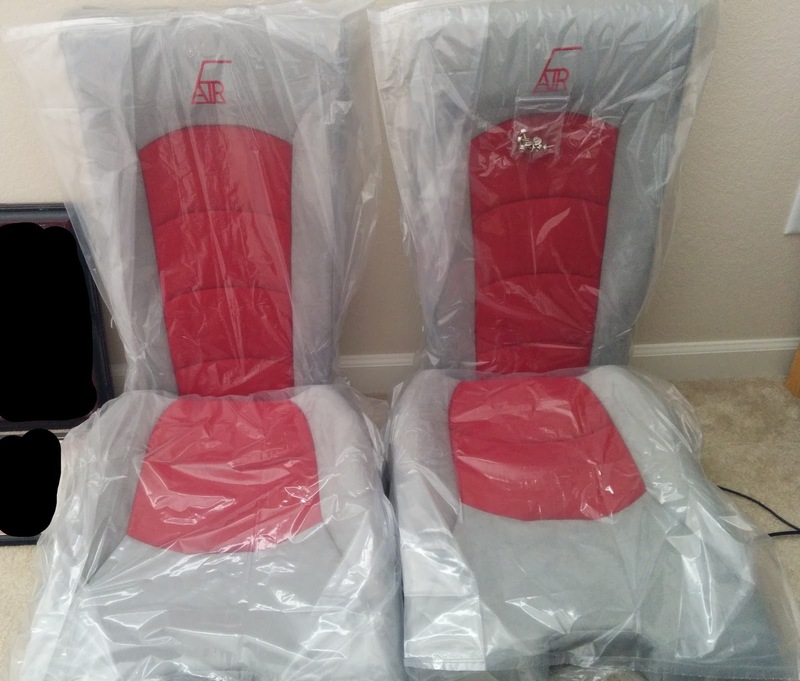 I obtained my seats from Flightline Interiors, choosing red fabric on faux suede grey. Also obtained red armrests, grey stick boots and black carpets for footwells and baggage areas. $1614.82 shipped. I had an emblem (which has a rich personal history - a fun story I'll share on the apron) added to the headrests. To help me during the selection process, I was sent these images. The addition of a headrest emblem precludes choosing designs 3 and 4 (center). 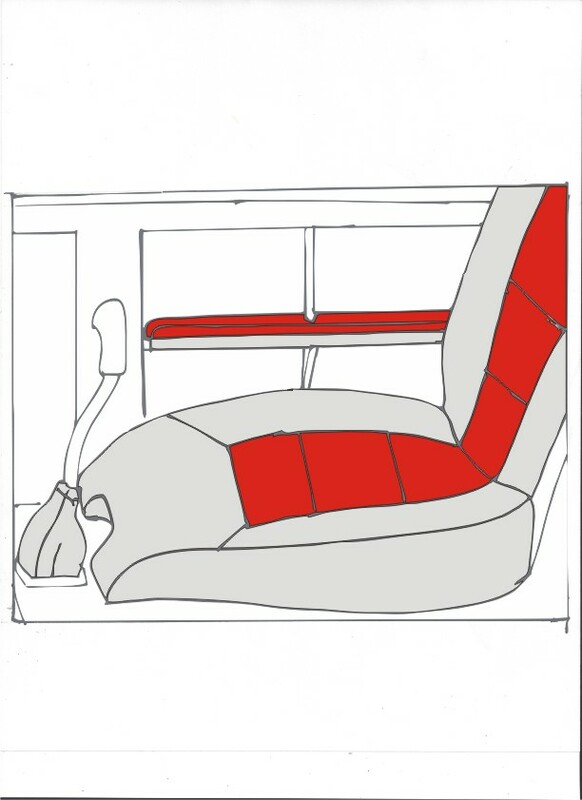 This image includes the armrests (to the right of the seat). Sitting on the seats and making airplane noises doesn't not get one airborne - I tried. Here are the carpets and stick boots (F-14114 Control Stick Boot Doublers are visible). Finish: Tricycle Landing Gear and Engine Mount. Gear legs and mount on. This was a very difficult section for me. The U-01401 Main Gear Leg as provided doesn't fit through the U-01402 Lower Gear Brace. I came to understand that some builders beat the leg into place by using a heavy hammer. However, I believe that approach isn't ideal as it places the parts in tension, which could lead to later failure. 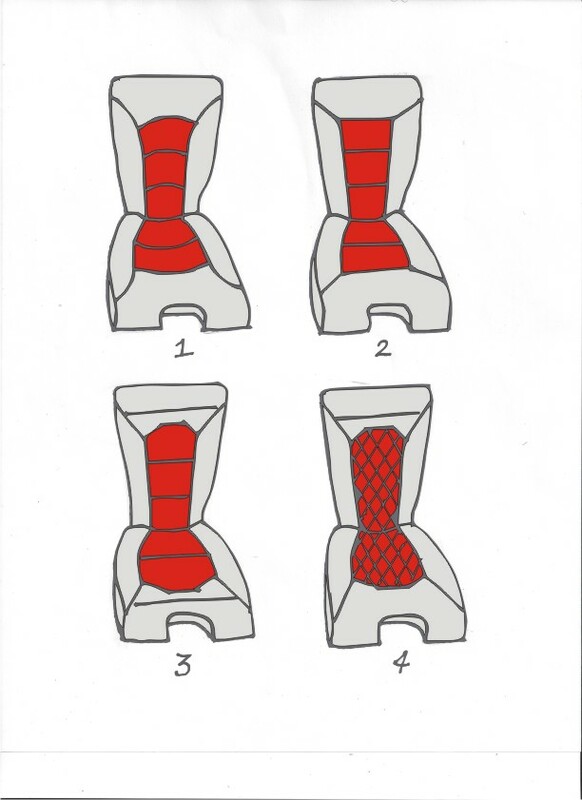 A consultation with Van's elucidated that during the Main Gear Leg's manufacture, the heating and bending processes can cause the edges of the leg to bow outwards, effectively increasing the thickness of the leg (in the fore-aft/longitudinal axis). Thus, it is acceptable to file down the edges to achieve proper fitment. The left image shows, after some initial filing, the contact area that was binding the Main Gear Leg and Lower Gear Brace. A few iterations of 1) gently filing those areas symmetrically on both sides until the marring marks disappear (right), 2) attempting placement of the leg, ad nauseam. and the gear leg will eventually get a tight fit without the use of excessive force or undue rocking. Additionally, significant powder coating was removed along the gear leg surface that contacts the Lower Gear Brace and the U-01403 Gear Attachment Bar. The next hurdle was getting the gear leg to fit properly between the Gear Attachment Angle and U-01404 Upper Gear Brace. On the left side there was a 0.020" gap (as measured by the feeler gauge) prior to torquing the NAS1306-22 bolt. Van's suggested torquing the bolt to see if the gap closed. 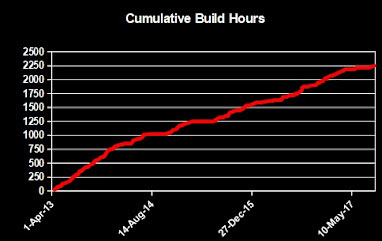 Following torquing, the gap persisted at 0.008". Van's then recommended to include a 0.016" shim from F-14129A Gear Shim. It took a lot of effort to place that shim, however afterwards the gap remained at 0.0015" (not a typo) at the top, down to the bolt shaft and was 0 at the bottom. The right side did not require a shim and had the same gap at the top and also none at the bottom. I accepted this and continued. Left gear leg on left and right on right. The next challenge was placing the U-01403 Gear Attachment Bar. Originally, I thought this part needed to sandwich the Main Gear Leg against the Lower Gear Brace so that all three parts lie flush against each other, especially the Gear Attachment Bar to the Lower Gear Brace. However, a consultation with Van's informed me that the Gear Attachment Bar should not be flush against the Lower Gear Brace because if it were, then the Gear Leg may not be properly captured by the Gear Attachment Bar. Indeed, the gap between the Gear Attachment Bar and Lower Gear Brace is significant following the torquing of the bolts. In fact, the left gap shown below (from the right aft side) is 0.030". I could not get the feeler gauge into the space to measure the right gap (from the right fore side). The left side is similar to the right side shown below. The engine mount was easily done solo in 30 minutes. I was even able to torque the lower four bolts, leaving the top two loose to accommodate the later riveting of the F-01471 Forward Top Skin. The U-01406 Nose Gear Leg went in easily enough, after removal of requisite powder coating. I still need to verify the tightness of everything then bend the cotter pins down (it's worth noting that Van's Support stated to torque the MS21045-6 bolt, top of Figure 1 on page 40A-06, Step 6, to spec.). The only thing worthy of mention is that if you're doing this work solo, have something to keep the leg from rotating downwards prior to attaching the gear link assembly parts, otherwise the Nose Gear Leg will fall through the F-14132 Tunnel Angle on your firewall and make life miserable. So just the placement of two gear legs took me an extremely frustrating 50 hours, 10 of which were with help, whose duration had me wanting to throw in the towel and go buy a flying Lancair with the money I don't have. With the information I learned through this process, I could have placed them myself in no more than 2 hours. 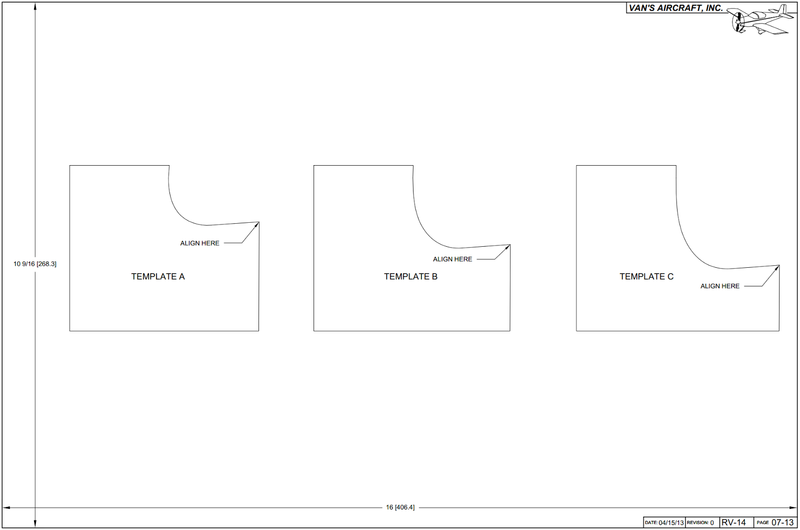 It would be helpful if the plans were more specific (see my suggested approach below), especially given that the parts are almost assured not to fit on the first attempt. 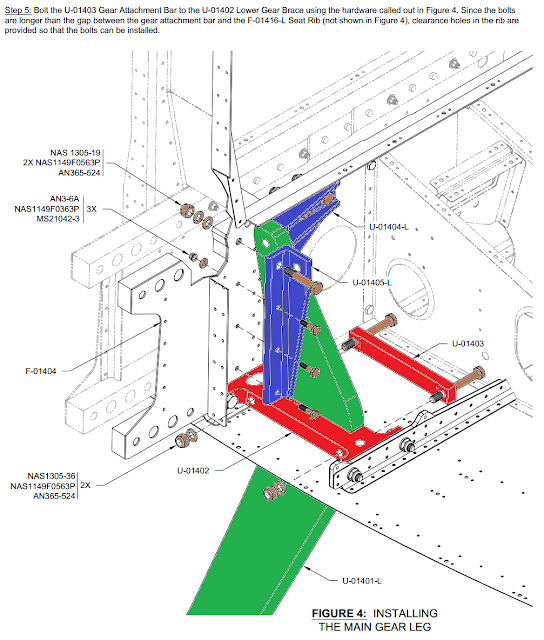 Per plans, attach the Upper Gear Brace. Carefully and slowly slide the Main Gear Leg into position until it binds. Do not rock the Main Gear Leg or force it into position. Remove the Main Gear Leg and note the marring on its fore and/or aft surfaces where the binding occurred. Gently file down this area until the marring mark is removed. Repeat previous 3 steps until the Main Gear Leg can slide fully upwards into position. Mark where the powder coating needs to be removed so that the area on the Main Gear Leg where it contacts the Lower Gear Brace and Gear Attachment Bars are bare. Remove the Main Gear Leg and remove the identified powder coating. Attach the Gear Attachment Angle. Slide the Main Gear Leg back in to position. Shim as necessary and torque the bolt through the Main Gear Leg. Attach and torque down the Gear Attachment Angle. Lubricate all bolts prior to placement being careful not to get lubrication on the threads. If a bolt requires significant force to push through its hole, verify alignment rather than beating the bolt in. Do not spin bolts to torque their nuts. Crow's foot wrenches are ideal. I used ratcheting open-end wrenches until the nuts started tightening, then switched to a torque wrench, using a crow's foot when necessary. Adjust torque as required to account for any additional moment arm (it'll probably be near 5 in-lbs reduction for a medium sized wrench, so if you don't torque to max spec, you probably don't need to bother). After the first landing and for several hours afterwards, I will check the three bolts for each Main Gear Leg to ensure they remain properly torqued. My panel has been cut. I had it done at a local plastics shop with a CNC milling machine. Total cost was $174.99. It came out looking very clean. However, true to form, I made a catastrophic error: I used diameter for radius on the GRT mounting holes, so I get to have another panel cut. I knew I would make two! This at least lets me try my layout to see how I like it. It also lets me reduce the thickness of the panel from 1/8" to 0.090"-ish so there are no clearance issues with the C-01404 Canopy Flange. The shop used a 1/8" end mill, leaving 1/16" corners which turns out isn't tight enough for the parts with hard corners (Otto rocker switches, Hobbs, etc.). I'll try filing the corners on this panel to see how practical it is to tighten them up. Update 14-Apr-16: I had my second, redesigned panel cut (not shown) at a waterjet shop for $242.75. Though the edges weren't as clean and the corners were all overshot by about 1/32", I was able to clean it up well enough. I was curious what waterjet would look like and this shop was able to do the work in a day, whereas the CNC shop took more than a month. If I were to make another panel, I would stick with CNC milling. Anyway, now the panel looks like the following. Avionics/Panel: Purchased the glass of my glass cockpit. The major, wallet crushing, retirement delaying pieces have been purchased. The only panel item outstanding is the steam airspeed indicator. For those of us working on our panels, I wonder if we are on the cusp of changing technology. We may be the last group of people buying these classic and very expensive glass panel parts. 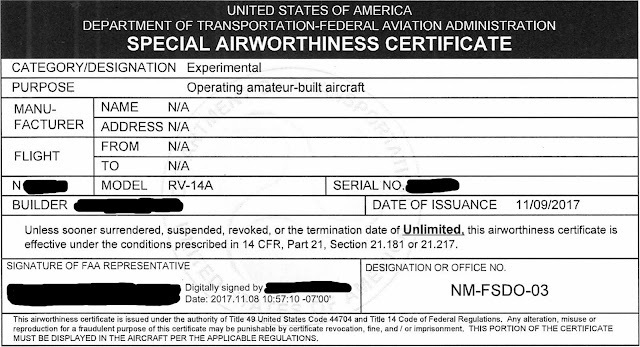 There are relatively inexpensive "ADS-B in" systems that also have integrated AHRS to use with an Android tablet or iPad. I envision that experimental glass cockpits are going to be just a little box on the glareshield that is wirelessly connected to several consumer-grade tablets Velcro'd to the panel. All for about $1.5k total. "ADS-B out" solutions are also getting less expensive. I really think we are the last people to spend $30k+ on our pretty panels. The GRT components have yet to be shipped. In the meantime, I've included pictures of the Garmin units to display what they come with as I had a hard time finding this information myself. GTR 200 communications transceiver. The large white roll of wire on the left is not part of the kit. I purchased it from Spruce as the headset jacks in the -14 are placed behind the armrests, so the wires needed to be longer. GTN 650. The GA 35 antenna was supposed to be included, however it was not. I've contacted my supplier to resolve. And for good measure, the SkyRadar-DX with remote antennas. Wings. Wing tips. Shortened and strengthened. Back on December 1, 2013, I had identified that my wing tips were about 1/4" too long and therefor needed shortening. 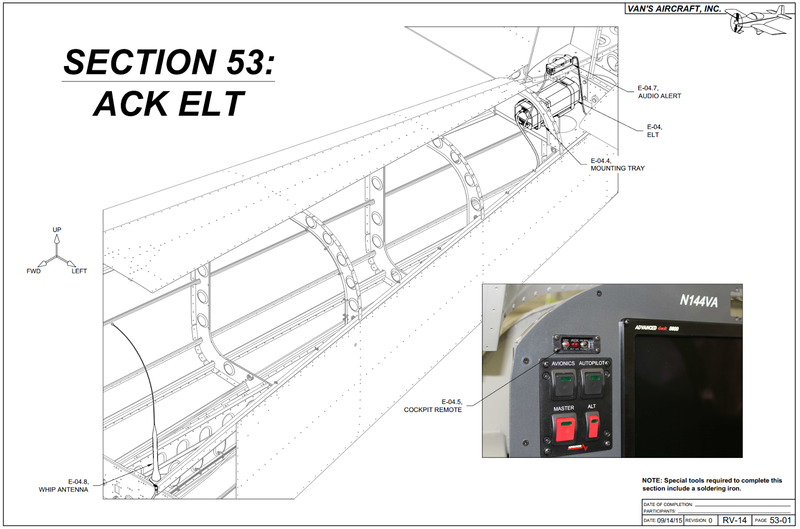 Importantly, I did not install the W-1016-L/R tip ribs, after they were match drilled, until the tips were shortened. So we started by drawing a line across the tips to match the trailing edge of each wing. Next we broke out the Dremel to cut the tips, then sanded them down straight. Then, we put in two layers of fabric and poured resin inside, as the image below shows (looking inside the tip towards the trailing edge). This image was taken after the tip rib was riveted in. The tips are now done, with a more sturdy trailing edge. Also of note, we were able to use only two pulled rivets on the trailing edge tip rivets, rather than the three called out for in the plans. Empennage: Elevators. Replacement trim pushrod in. The original elevator pushrod that came with the first kits wasn't the right length. See my post here for more description. Below is a picture of the original pushrod (top) and the replacement (bottom). My replacement pushrod was received from Van's in December of 2014 with an associated plans update on 10-Dec-14. Kits shipped later than around that time frame should already have the correct pushrod. Here are the extremes of the servo travel after activating it in both directions. It takes 22 seconds, stop-to-stop actuation time in both directions. Approximate deflection of 37° downwards and 9° upwards, relative to elevator chord for a total of about 46°. 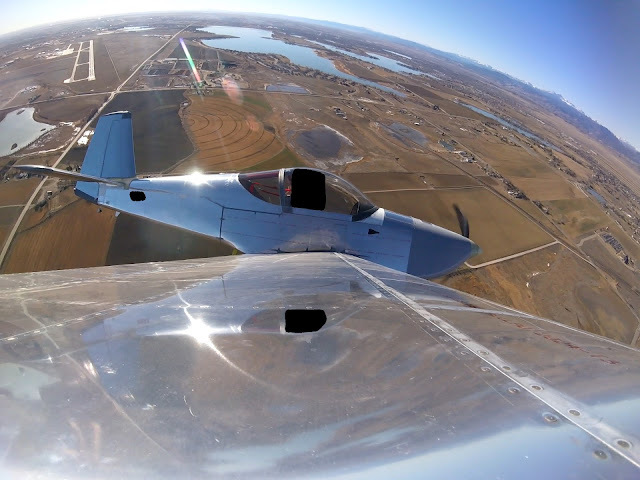 This suggests the RV-14A likes to pitch up more than down. Empennage: Fairings. Rudder top fairing on. This post might seem out-of-sequence, however I had been putting off finishing the leading edge and working on the fairings in favor of securing experienced help. For the fiberglass work, having now seen the process, I'm no longer hesitant to approaching it. A future post will provide my thoughts on how to work with fiberglass. In the meantime, you can see how we fit the top fairing prior (left). And the additional sanding necessary to match the top fairing's taper to that of the rudder proper (right). I'll need to pour some resin in the space between the aluminum and fairing to close it off. I'm waiting to complete the bottom fairing until I can mount the rudder and vertical stabilizer. This will ensure the taper of that fairing matches that of the aircraft's. Empennage: Fairings. Elevator fairings complete. The elevator fairings are complete. I used Loctite on the counterweight nuts. The only hiccup was riveting in 6 rivets on the left fairing before realizing I neglected to put the counterweights on. First the fairings are match drilled after sanding to fit. The edges should match up well. They may require some sanding, like this one did. Empennage. Elevators. Leading edges riveted. I rolled the elevators' leading edges back on August 14, 2014. I wasn't pleased with how they turned out as they were flattened, I created small dents and in a few placed the roll folded up against the spar. I spent several hours trying to fix them to my liking, but gave up after realizing I wasn't making progress. So I accepted what I had and riveted them together (perhaps I'll build another set in the future). The section is completed and these control surfaces are ready for their fairings. Empennage: Rudder. Leading edge curled. 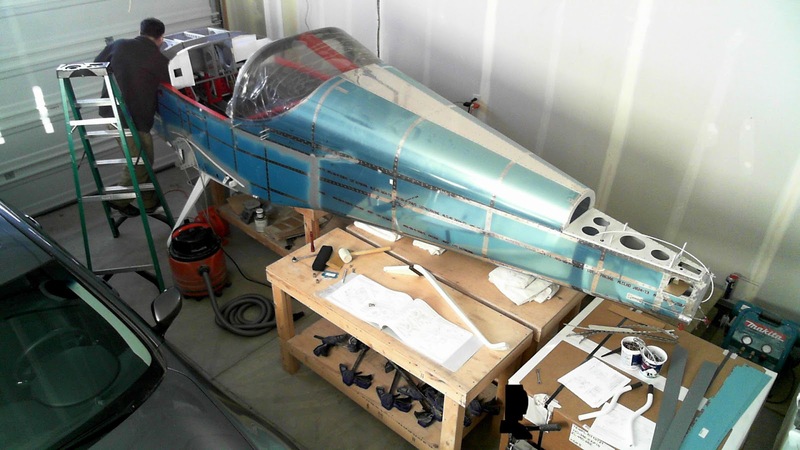 This post might seem out-of-sequence, however I had been putting off finishing the leading edge and working on the fairings and in favor of securing experienced help. In the case of the rudder leading edge, I wasn't pleased with how my elevator leading edges came out, back in August 2014. So I asked my RV-9A friend to roll my rudder leading edge as I was pleased with how he did his. 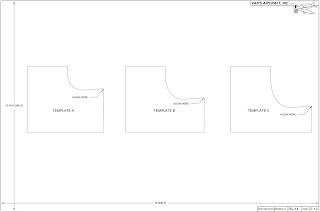 The leading edge must follow the templates laid out on page 7-13. In the left image (looking up the forward edge of the rudder), you can see that the HW-00004 Tie Wrap Clip was broken so I'll have to replace it. Purchased the ACK ELT from Van's. It goes in the tail. 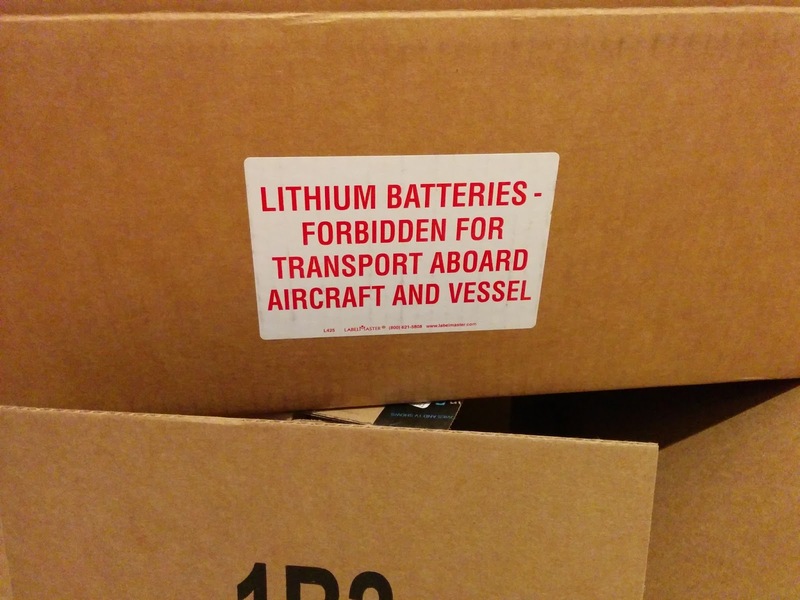 The irony of the warning label on the shipping box wasn't lost on me.